he 2012 Team LIVESTRONG Challenge Series will return to Philadelphia Aug. 18-19 for the seventh time. The two-day event includes a 5K or 10K walk/run on Saturday and a multi-distance bike ride on Sunday, with distances ranging from 20-100 miles, providing options for a wide-range of fitness levels. Lance Armstrong, cancer survivor, cycling champion and founder and chairman of the Lance Armstrong Foundation, will attend the weekend’s events and participate in both the run and ride. Chris Draft, former NFL linebacker and founder of the Chris Draft Family Foundation (CDFF), will participate in the run and serve as the keynote speaker at the fundraising dinner on Saturday. The Team LIVESTRONG Challenge is the Foundation's popular three-part series in Team LIVESTRONG's roster of more than two-dozen athletic events designed to raise funds for the fight against cancer. The Challenge inspires and empowers individuals, teams, families, friends and co-workers to unite in the fight against the world’s leading cause of death. 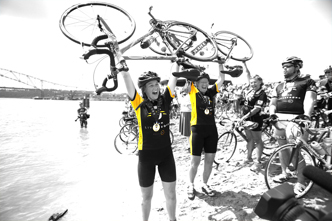 One hundred percent of participant and donor gifts to the LIVESTRONG Challenge series go directly to support cancer programs and initiatives. Since 1997, the Challenge events have raised more than $70 million. In the 2011 Philly Challenge, more than 5,000 participants raised more than $2.6 million for the fight against cancer. To date, the LIVESTRONG Challenge Philly has raised more than $16 million since 2006. Philadelphia will be the second stop in this year’s series, which kicked off in Davis, Calif. in June and ends in Austin, Texas on Oct. 21. The Philly Challenge takes place at Montgomery County Community College. Those interested in registering can visit www.Teamlivestrong.org. The Lance Armstrong Foundation serves people affected by cancer and empowers them to take action against the world’s leading cause of death. With its iconic yellow LIVESTRONG wristband, the Foundation became a symbol of hope and inspiration to people affected by cancer throughout the world. Created in 1997 by cancer survivor and champion cyclist Lance Armstrong, the Foundation provides free patient navigation services to survivors with financial, emotional and practical challenges that accompany the disease. Known for its powerful brand – LIVESTRONG – the Foundation is also a leader in the global movement on behalf of 28 million people living with cancer today. Since its inception in 1997, the Foundation has raised nearly $500 million for the fight against cancer. For more information, visit LIVESTRONG.org.